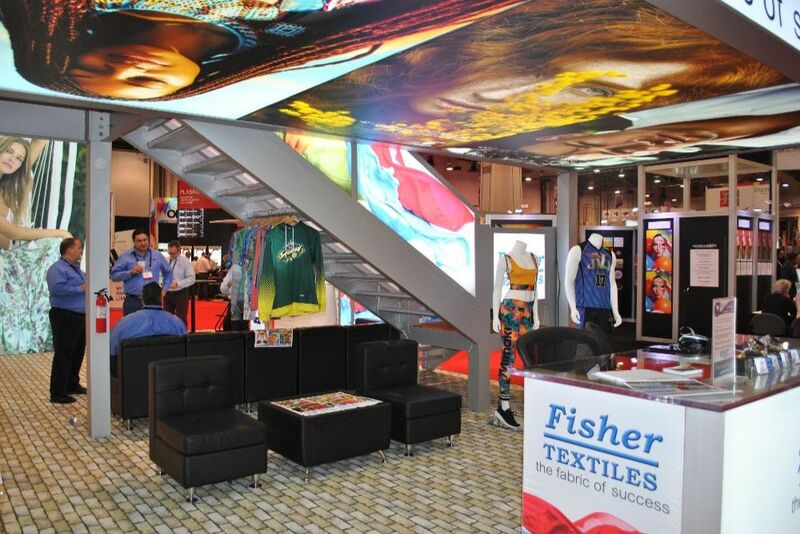 Fisher Textiles is the leading supplier of fabric for digital printing. They have been at the forefront of fabric solutions to the digital printing industry since 1988. Matrix Frame USA was excited to partner with Fisher on their booth for SGIA Expo 2018. Working with an existing two-story tradeshow booth, Matrix Frame re-engineered the structure by removing the existing plexiglass rails and replacing them with custom-fit double-sided, two-inch Profile 50 extrusion with LED light sheets. 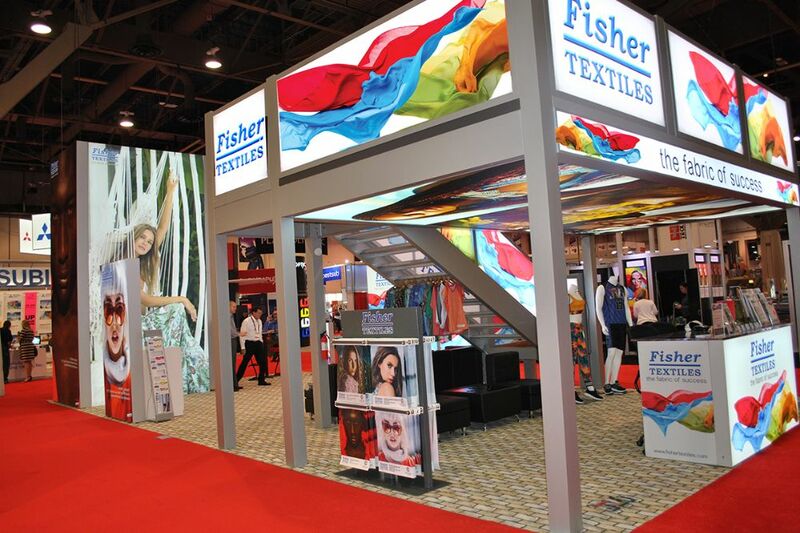 An innovative integration of light boxes and structure, the booth beautifully highlighted Fisher’s new GF 7100 Bannyl Lite fabric on the first floor ceiling, a 16’ wide UV printable fabric for brilliant backlit silicone-edge graphics. Fisher also featured their GF 6088 MoJo for the deck light boxes and the GF 4019 Nirvana B.O.B. for the frontlit frames inside the railing and upstairs. 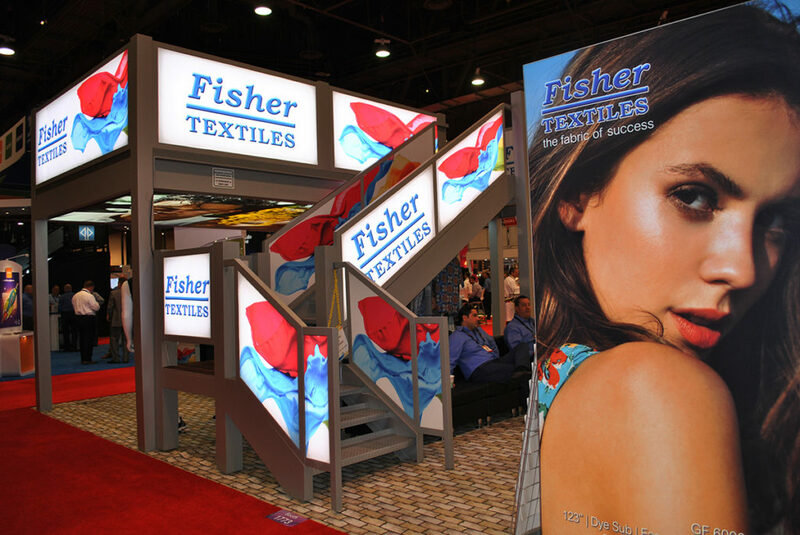 In a wonderful example of form meeting function, we ended up with a user-friendly new tradeshow booth featuring Fisher’s beautiful, eye-catching graphics.